Goshen College is pleased to announce and welcome new employees for the 2009-10 academic year. Several persons were hired and started earlier in the year, and several have changed positions within the institution. In a report eagerly anticipated by incoming college students and their parents, Goshen College placed 131st out of 249 liberal arts colleges in the 2010 "America's Best Colleges" rankings by "U.S. News & World Report." Last year it was ranked 149th out of 265. Goshen continues to be ranked in the third tier of Best Liberal Arts Colleges for the ninth straight year. How do the practices, habits and routines of worship form Christian -and specifically Mennonite- identity? 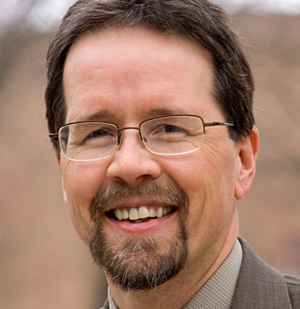 Goshen College Professor of History John D. Roth explores these questions in his new book "Practices: Mennonite Worship and Witness," (Herald Press, 2009). "Practices" is the final book in his three volume series on Mennonite identity in the 21st century. Goshen College ranks in the top 4.5 percent of U.S. colleges and universities, according to Forbes magazine and the Center for College Affordability and Productivity (CCAP).